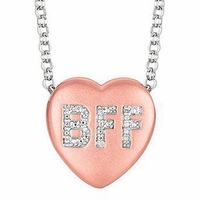 Sweetheart Jewelry - Affordable & Fun! Sweetheart Candies strike a nostalgic chord. Do you remember giving or receiving one? Those embossed endearments were a sweet way to get your message across. 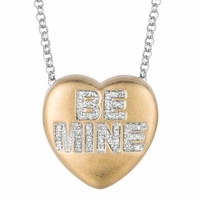 Now those endearing messages can be expressed with the "Sweethearts Diamond Jewelry Collection". 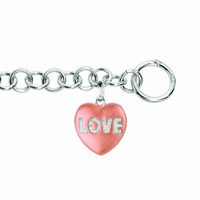 This Charming jewelry is fun, meaningful, and affordable. 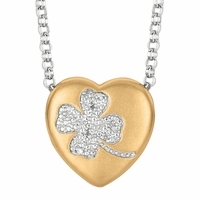 Available in sterling silver or rose gold and yellow gold plated sterling silver. 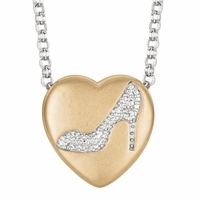 Accented with shimmering diamonds...What could be sweeter?